Will lay-offs change the division of parenting skills? 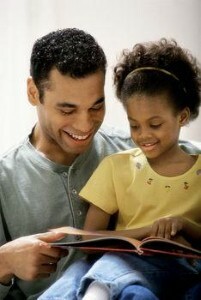 Home » Dad » Will lay-offs change the division of parenting skills? The number of stay-at-home dads could soon be expanding, as a result of current employment and economic trends. News about the multitude of companies that have cut jobs so far this year has dominated the headlines. But less widely discussed is the fact that 82 percent of recent job losses have affected men, the New York Times reports. This trend has led to an increasing number of men staying home, while their wives or partners deliver the main source of income for families. Women already make up between 47 percent and 49 percent of the nation’s workforce, according to data from the Bureau of Labor Statistics. If the current economic downturn continues, this proportion could rise – and more fathers may have the opportunity to try out the role of stay-at-home dad. A 2007 survey from CareerBuilder.com suggests that many men would relish the chance to focus on parenting skills instead of the office. Some 37 percent of working dads said they would stay home if it was financially feasible.